BATON ROUGE, LA (WAFB) - Port Allen councilman, Garry Hubble, has asked for a hiring freeze on any new Port Allen police officers while he says he’s trying to figure out what’s happening at the department. “We have a continually revolving door over there and obviously there is some situation over there that we don’t have a handle on,” said Hubble. For example, three officers were hired on July 25, 2018. One of them left the department the next day. Another left the following week and the third one remains on the force. “I’m not going to tell exactly the personal reason why they left, but they had good reason to do what they did,” said Port Allen Police Chief Esdron Brown. “I don’t have the reason why they left, but here again, within 30 days or less than 30 days, we have a turnover,” said Hubble. “You got law enforcement getting killed when they just go to eat, so it ain’t like it used to be, so it’s hard on guys now. Their stress level is very high,” said Chief Brown. The Port Allen Police Department has 16 full-time officers. In comparison, the other two departments in West Baton Rouge Parish, Brusly and Addis, each have 10 full-time officers. But when examining the number of citations those departments are issuing month-to-month compared to Port Allen’s numbers, there’s a huge difference. In January of 2018, Brusly wrote 212 tickets. Addis wrote 111 and Port Allen gave out 40. In July of 2018, Brusly officers issued 253 citations, while Addis wrote 110. Port Allen officers gave out only 22 citations in the same time period. “Ridiculous. You don’t have any more of an interstate system or LA 1 going through those two municipalities than you have in Port Allen. Actually, you have more in Port Allen,” said Hubble. “I’m not advocating that we become the ticket capitol of the west side. I’m not saying that at all, but that is revenue for the city and why is ours so low compared to a smaller city?" “We don’t give a rule or law that says you got to write so many tickets. That’s up to the officers as they patrolling. That’s part of his job,” said Chief Brown. Since Chief Brown came into office in January of 2013, 25 officers have left the Port Allen Police Department and three others retired. “Yeah, it’s on the high side,” said Chief Brown. “We continuing to build til we get the right people in with the right character that want to do the job that this community deserves and that’s what this is all about, serving the community in a certain way,” said Chief Brown. 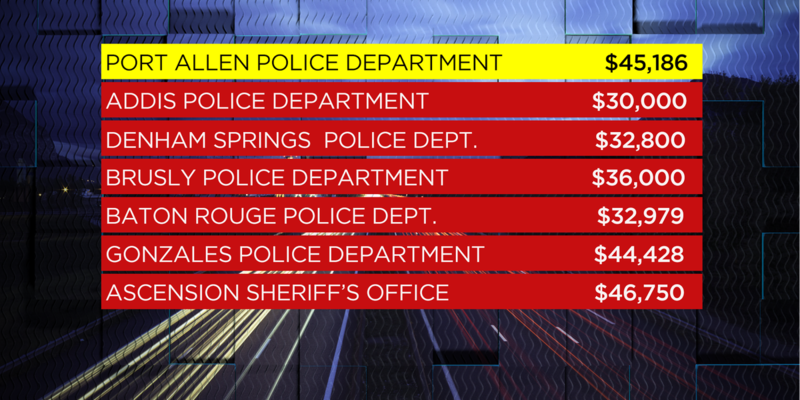 The 9News Investigators looked at the starting pay for Port Allen officers to see if that was a deterrent, but their pay is rather high for a small city compared to other departments of similar size: $45,186. Hubble says if it’s not the pay, it can’t be outdated police cars or equipment either. “In the last five years, we have bought 18 new vehicles out of a fleet of 22. I don’t think equipment is the issue,” said Hubble. Plus, Hubble says the city has bought new lasers and portable radios for officers and they’re currently in the process of switching out all firearms. His biggest concern is if officers are not happy at work, it will become a public safety issue when those officers respond to calls. “If you’re disgruntled for some reason within your job, can you flip it off like a light switch when you go make a call? Maybe some people can and maybe some can’t,” said Hubble. “We’re doing a great job. I mean, all the great things we accomplish here, I could name a list this long. We had an officer of the year for the first time this year,” said Chief Brown. Addis and Brusly police chiefs say they do not have quotas requiring officers to issue a certain number of tickets monthly, nor do they tell their officers they must write citations. 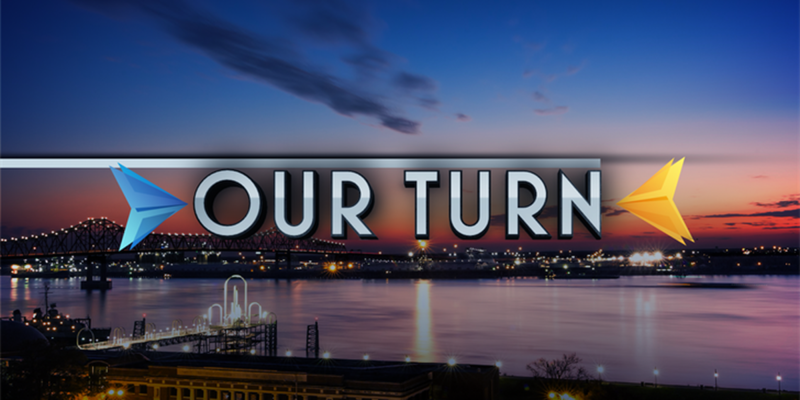 We wanted to encourage everyone in our viewing area to take time this week and help make our community a cleaner place to live.